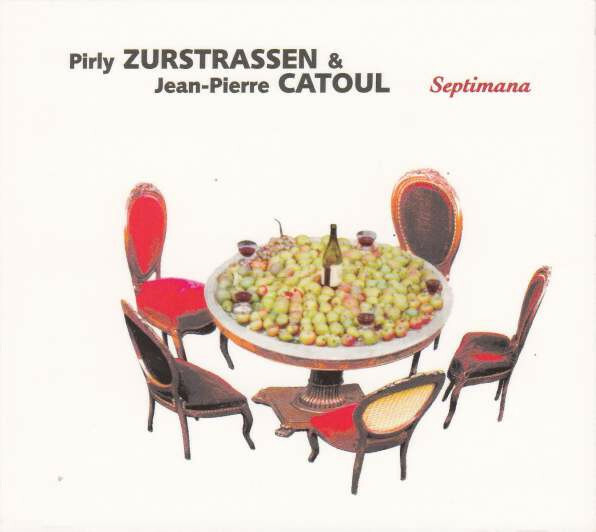 Septimana is an excellent release by the jazz duo of Pirly Zurstrassen (piano) and Jean-Pierre Catoul (violin). The virtuoso interplay of violin and piano is nothing short of outstanding. You can just picture yourself sitting at a table in the French or Belgium countryside sipping on a glass of wine. Unfortunately for us, Septimana was the last recording by Jean-Pierre. He passed away from an accident on January 22, 2001, shortly after finishing the sound mixing for the CD. Pirly, a self-taught jazz pianist, dedicated this CD to his friend Jean-Pierre. You can tell from the music and the photos that these two musicians respected one another. The music works on several levels. You can leave it play in the background or you can listen carefully and concentrate on the intricacies of the music. Both experiences will be rewarding. Highly recommended.